English only games. Learn about your strengths and weaknesses while having fun playing the best brain training games from the hit brain training app (Mind Games). These great games were used to produce several game IQ scores that can reveal your areas of strength and weakness. You can practice these brain training games to see if your scores can go up over time. The game produces a Game IQ score, Working Memory Score, Conceptual Score, and Speed Score. There are two different IQ game forms that we think measure similar skills (based on our statistical analysis). Play through all 6 games on a form to get your scores. 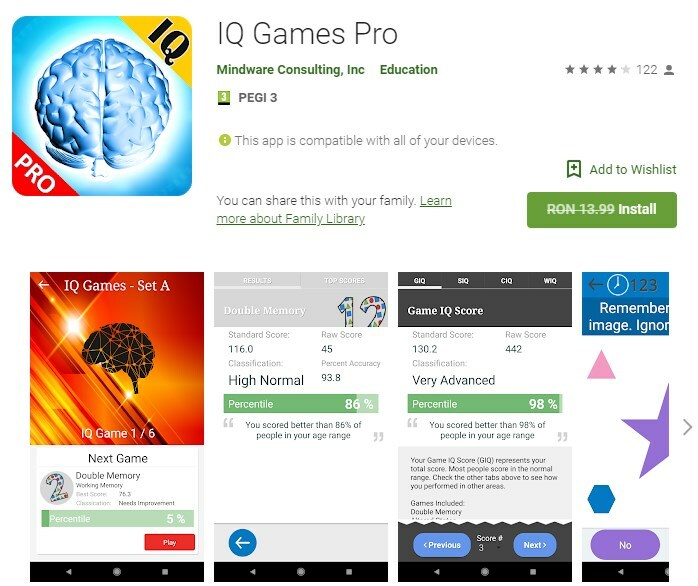 You can have your Game IQ score in less than 15 minutes. Note that this game is for entertainment purposes only and is not a valid substitute for a formal IQ test. This topic was modified 2 months, 1 week ago by Anna Maria.